Simple Valentine Day Crafts from Craft Night! It’s been a couple months but for the first time since the holiday, we had Craft Night with my bloggy BFF, Liz at Naptime Decorator. And what better to craft than simple Valentine’s Day Crafts. Well, I should clarify that….not everyone did such simple crafts, but I did. First up, I was inspired by two beautiful tulip wreaths from The DIY Village and Naptime Decorator. 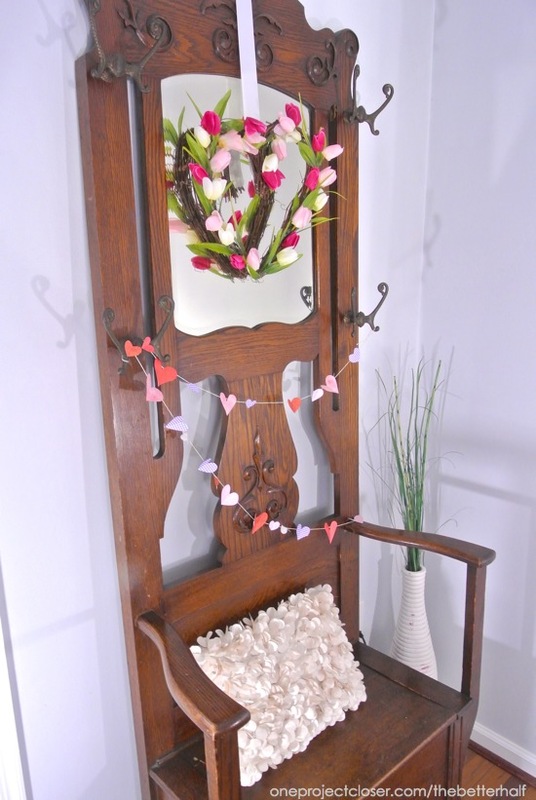 I put my own spin on it using a heart-shaped grapevine wreath and mini-tulips from Michaels. I used a coupon for the wreath and tulips were buy 1 get 1 free – so it was cheap project. I sniped the tulips off the bunch and then hot glued them to the wreath. That easy! Now it hangs on the new hat rack chair/electric chair (what do grown up’s call it?) from Ethan’s uncle! Cute, right? My friend, Keri over at Shaken Together does a super Valentine’s mason jar using pink candy corn! Seriously, never have I seen these before in the store but so cute. So when I saw them at Michael’s when shopping for Craft Night, I decided to use them for a craft. 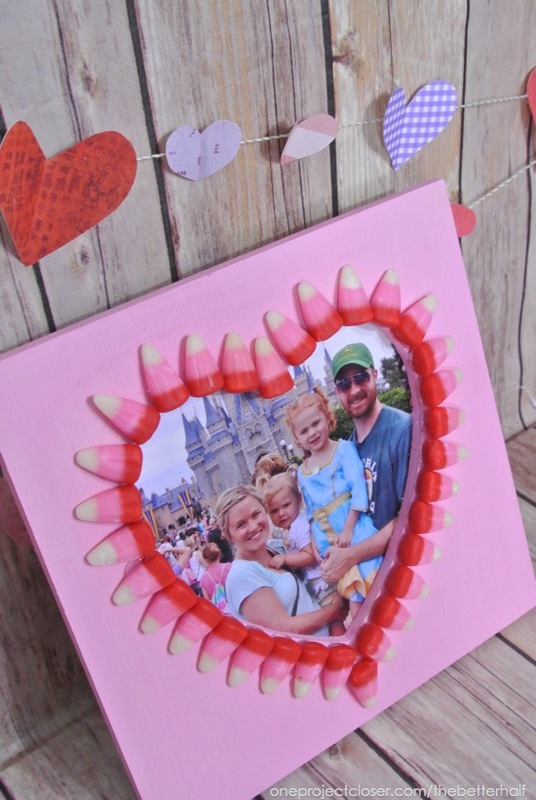 I painted an unfinished wood frame pink, then hot glued the candy corn on. Btw, do not use Elmer’s! Learned that the hard way last year…lol. 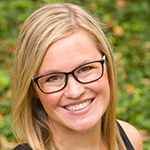 Right now, Liz’s site is in transition, but as soon as she posts the rest of the fabulous crafts, I will be sure to share them with you! What do you think? 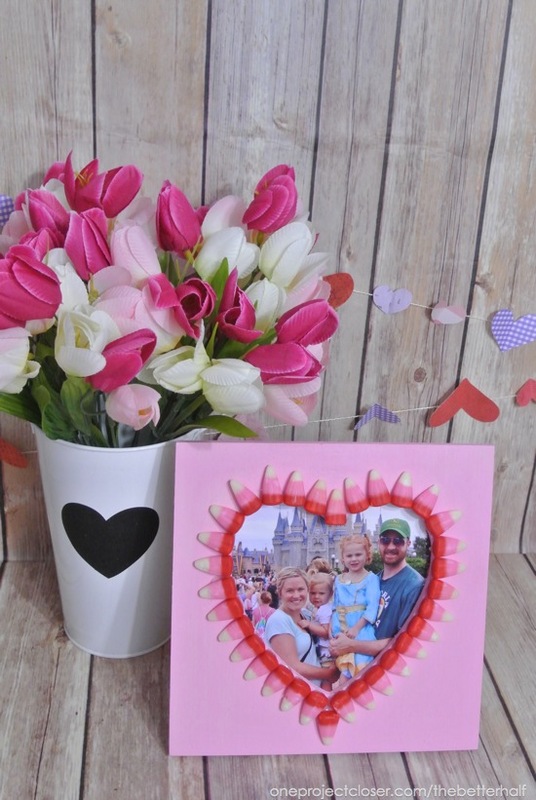 What are your go-to simple Valentine’s Day crafts? 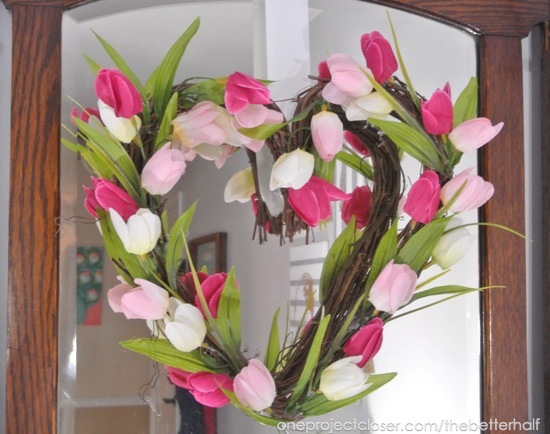 Oooo, I love your heart tulip wreath. And you KNOW I love that candy corn frame 🙂 Every time you post these I wish MD wasn’t so far from FL! 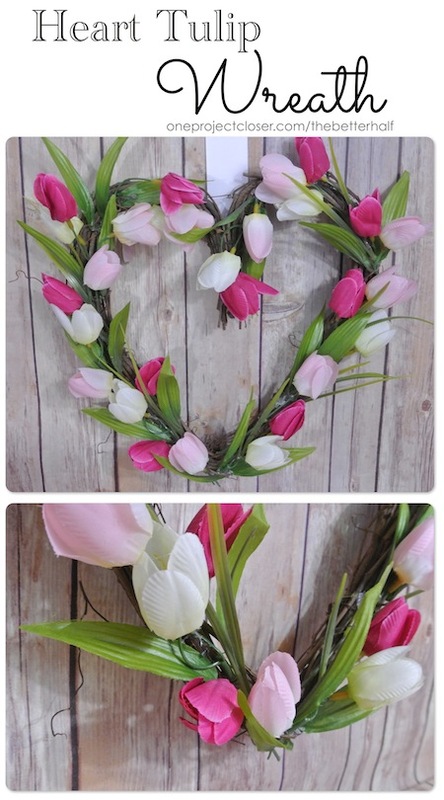 Love that tulip wreath! It’s so cute! 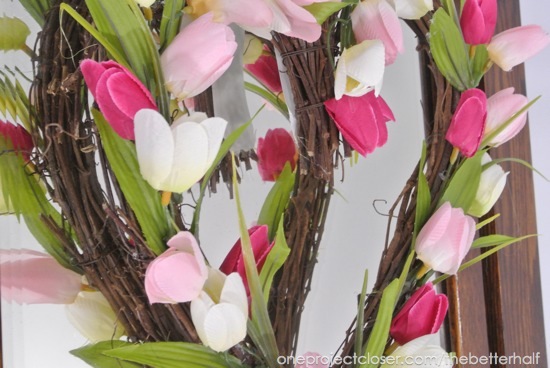 A happy looking wreath… spring is just around the corner!